WHAT’S GOING ON IN THE FOREST? 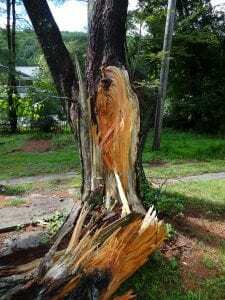 Tree failure in Sullivan County! Last May, parts of Sullivan County–especially near Forestburgh–experienced some significant wind damage. In most instances, white pine trees “failed”, split apart or uprooted onto peoples’ homes or wiped out acres of white pine stands. Some areas were literally “clear-cut” from straight winds. White pine are more susceptible to wind damage since they are the tallest “sail” or tree to catch the wind; They are also fairly shallow rooted too. This white pine came apart near Pond Eddy, Sullivan County, NY. 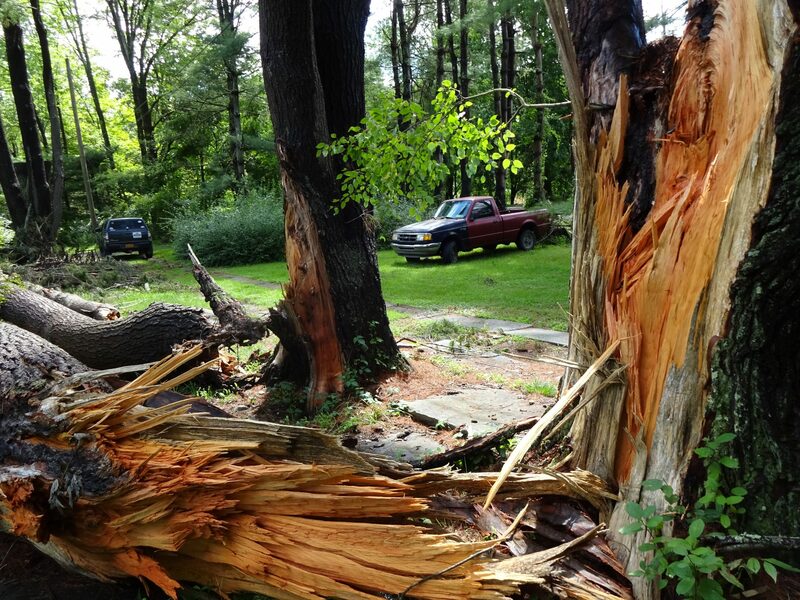 Tags: Catskill Forest Association, Catskill Mountains, hail damage Categories: What's New?